I only had time for one place to eat during my short stay in Jackson, Mississippi, and I had to choose my lunch carefully. Luckily for me, Man v. Food picked the buffet at Two Sister's Kitchen for its fried chicken. 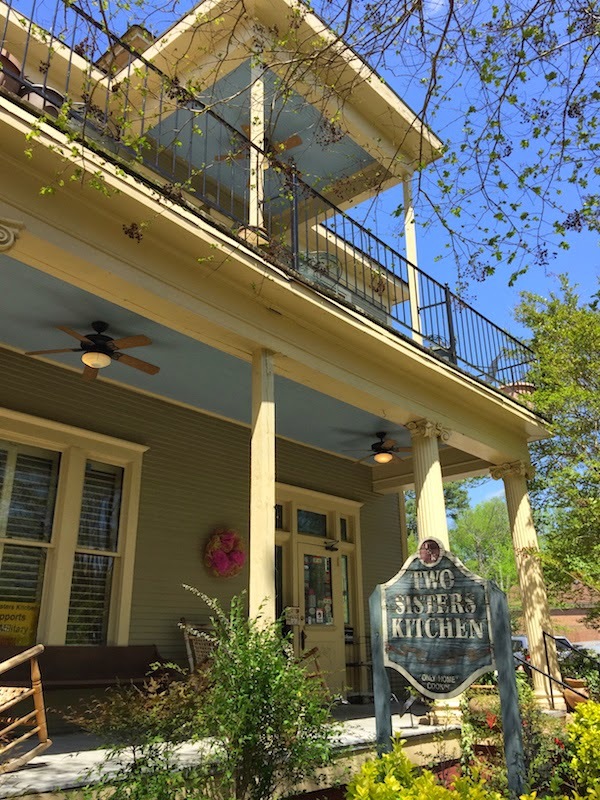 Read my review of the Southern Buffet at Two Sister's Kitchen in Jackson, Mississippi as seen on The Travel Channel's Man vs. Food after the break. I found Two Sister's Kitchen in the excellent foodie book 500 Things to Eat Before It's Too Late: and the Very Best Places to Eat Them . And as I said, it's been on Man vs. Food which always provides great suggestions. Any place that Adam Richman likes has been a winner with me as well. 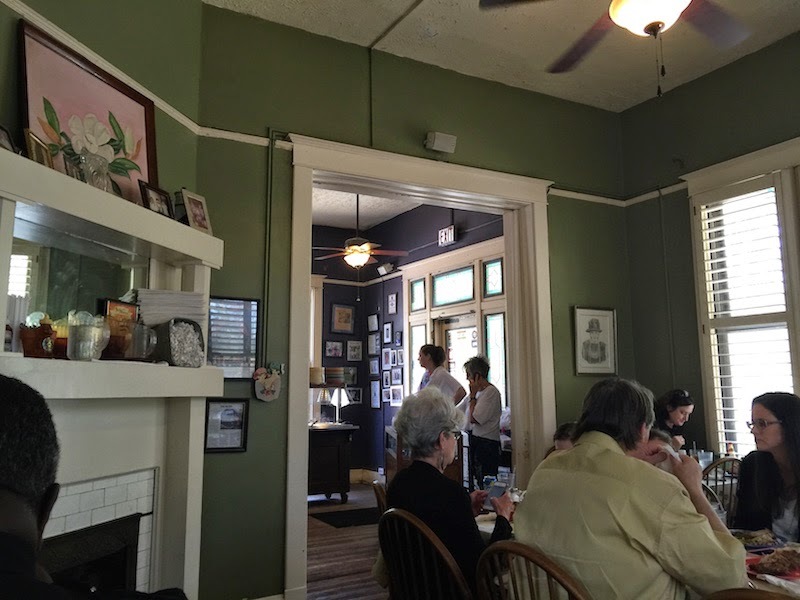 Eating at Two Sister's Kitchen is like visiting a friend's house. It's located in an old house, and the staff is extremely friendly. Nearly everyone besides me was a local and the waitresses were calling them by name. And the owner made a special effort to ask me where I'm from and how was I enjoying the food. She told me she started the restaurant 29 years ago -- amazing! There's also an outdoor covered brick patio where you can eat, and listen to live jazz while you enjoy your buffet. I got lucky with the catfish, as I was only in Jackson for a day, and that day turned out to be a Friday (and Good Friday at that). And catfish is only served on Friday. It's absolutely perfect. The batter is very light, the fish is fresh, and it's cut just the right size to ensure it fries up well. And then there's the fried chicken. Two Sister's Kitchen is known for it, and now I know why. Every piece I tried was juicy and delicious, and not greasy or oily (in part because its skinless chicken). The batter is very thin, and it's very dark with the black pepper in it. It's almost black in places, but that doesn't mean there's too much pepper. You can definitely taste it, but it was excellent and also very unique. I've never tasted fried chicken like this before. Hands-down this is the best fried chicken I've had outside of my house and my wife's cooking. 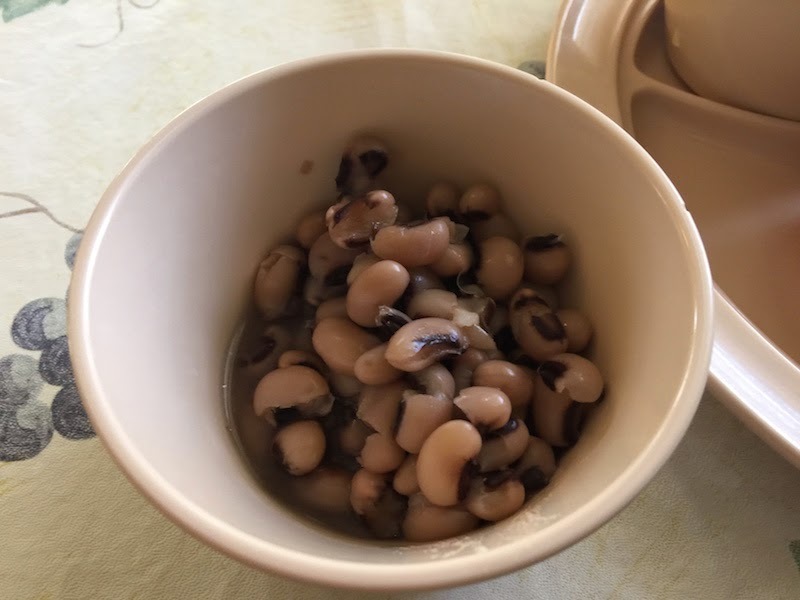 The side dishes include fried okra, green beans, black-eyed peas, grits, corn, and greens. The corn was especially good as it was swimming in butter. And the fried okra was the best I've ever had with big pieces of okra which were fried without using too much batter (as most places tend to over-do it on the batter). There are biscuits and corn muffins, too. I can't describe how good these were. Of course they were baked fresh, but the biscuits were so fluffy and delicious, and the corn biscuits were very moist and tangy with buttermilk. I ate way too many of these but I couldn't help myself. There's also a salad bar with a really good dressing that was like a remoulade (maybe that's exactly what it was). Dessert is the only item that is brought to you. Let the waitress know when you're done with the buffet, and you can pick apple crumble, and there was another choice which I forget because all I was thinking about was the banana pudding. How could I not order that? 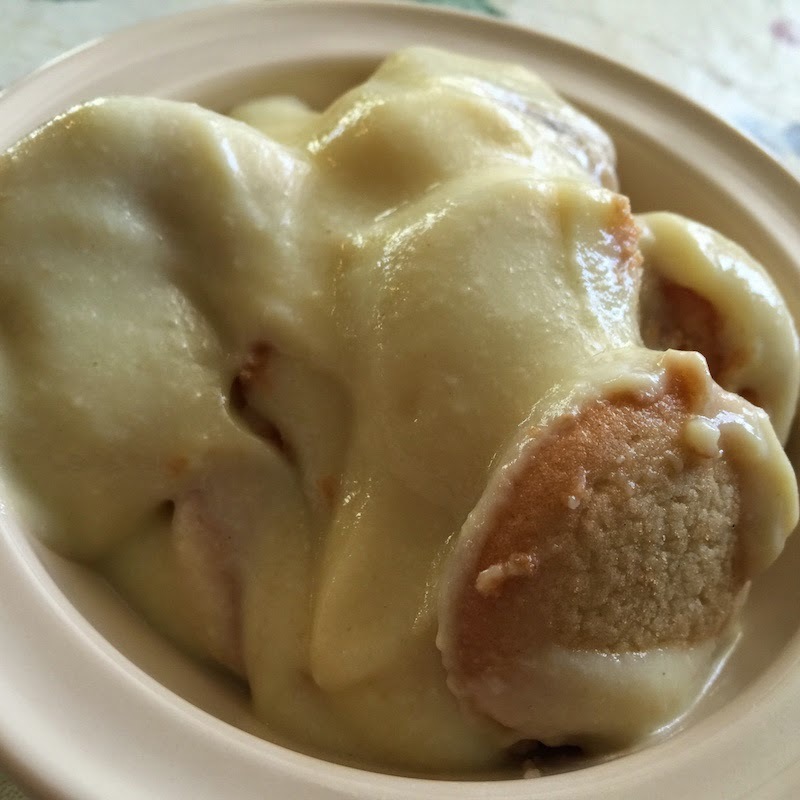 The banana pudding is simply amazing. It's served slightly chilled, and it seems as though the custard and bananas are not added to the vanilla wafers until right before it's served, because the cookies were still crispy. The wafers seemed to be home-baked because they were definitely a lot tastier than the ones you get out of a box. It's hard to describe how good this is so you will just have to visit Jackson and find out for yourself. (In fact, this dessert was the item picked out in 500 Things to Eat Before It's Too Late: and the Very Best Places to Eat Them ). My pictures don't do justice to the food. My pictures are average but the food at Two Sister's Kitchen is excellent! TIP: Fried catfish is only served on Fridays. As I left Jackson on my way towards the East coast, I was thinking about some other soul food buffets that I've enjoyed. My meal at Two Sister's Kitchen reminded me a lot of the lunch buffet at Dooky Chase in New Orleans (read my full review here), although the atmosphere at Two Sister's is less formal. Both restaurants are in old homes, both are buffets, both serve the dessert to you, and most importantly, both are excellent! There's a larger variety of side dishes at Dooky Chase (especially the shrimp and lima beans) but I have to say that even though the fried chicken at Dooky Chase is amazing, the black-peppery fried chicken at Two Sister's Kitchen is even better! Which is incredible. 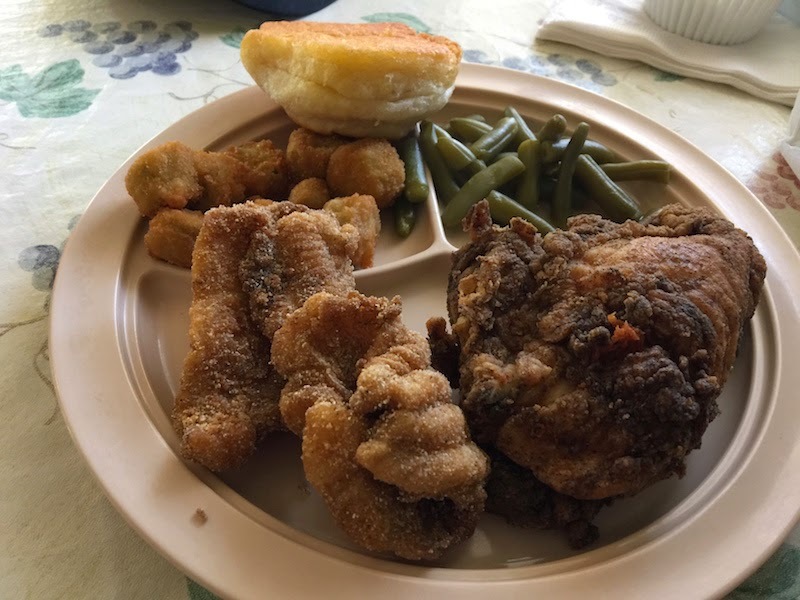 Another soul food buffet that I was reminded of was the one close to my home at Souls Restaurant (read my full review with pictures here). Souls has a larger selection of main dishes, and their greens are unbeatable. 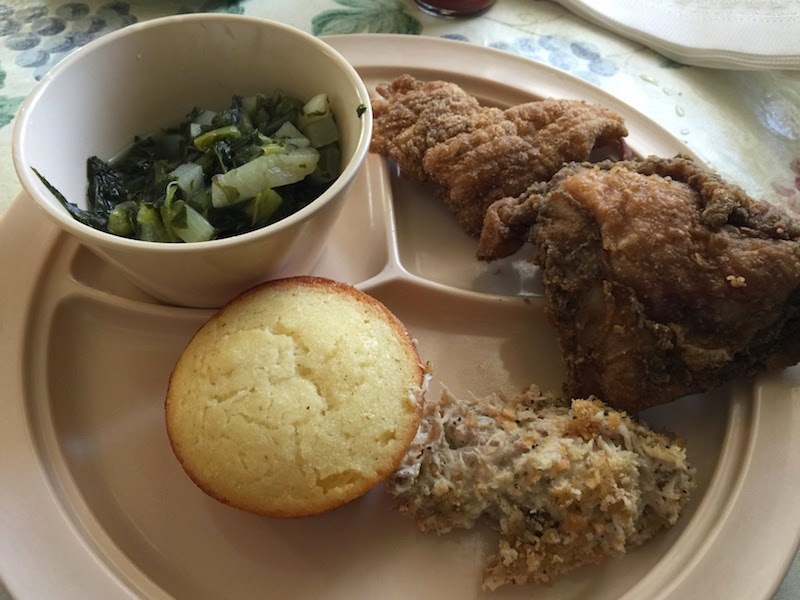 But no one has fried chicken or banana pudding like the ones at Two Sister's Kitchen. TIP! Two Sister's Kitchen is only open 11 AM to 2 PM.